My garden and my studies in the history of art. Mostly weaving seed beads with an occasional foray into bead embroidery. I started out with stringing but I could not make the beads do what I wanted so I moved into weaving. I would never have believed I would be using only those little tiny beads and loving it. Yes. 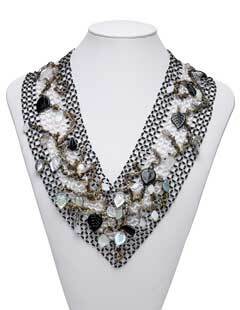 Please visit my website at venerablebeadjewelry.com.